Will the Smart Lighting train ever leave the station? New lighting technologies like LED fixtures are much more flexible. They can be turned on and off without “warmup”; they can be dimmed and the color can be controlled dynamically over time. 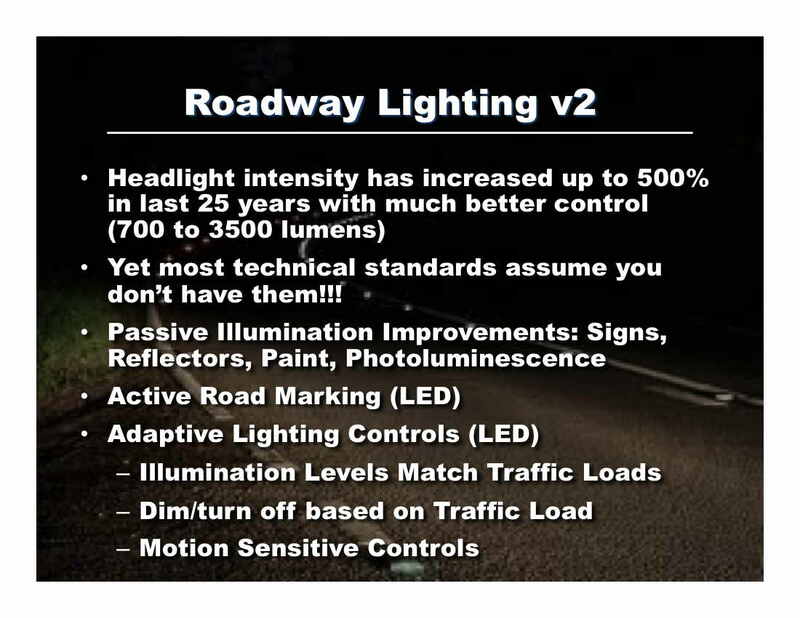 Current lighting standards specify how much light should be used on a road based on traffic flow. At rush hour, more light may be needed than at midnight. At 2:00 a.m. in the morning, light may not be required at all. Therefore, why do we see new LED lights being installed today that operate at full intensity all night long? Because city administrators are afraid that any reduction in light levels will be perceived as “less safe” and they’ll receive “blowback” from the public and frivolous lawsuits from lawyers. This fear may be unfounded, but many elected officials are not willing to take the risk and are not willing to educate their constituents. 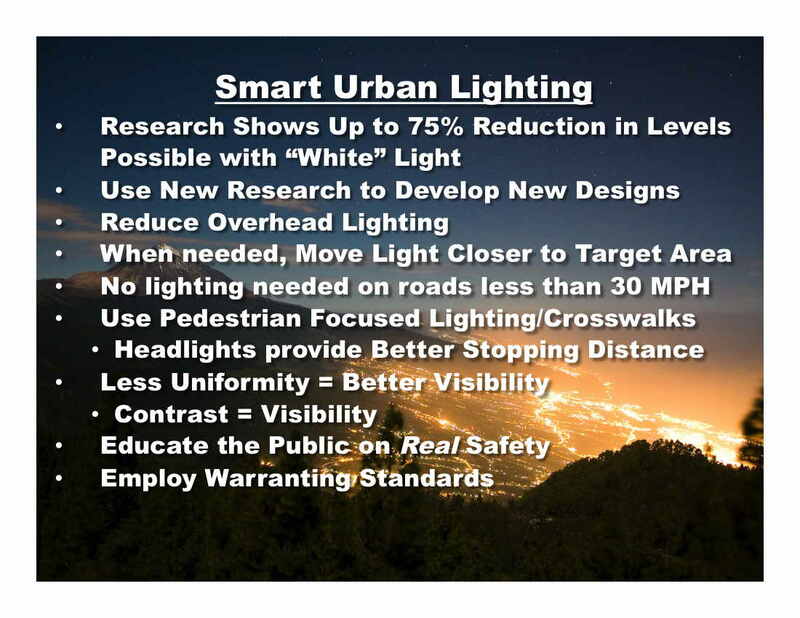 The irony is that most cities say that they have a formal policy to use lighting standards and recommended practices for safety, but not if they recommend lower lighting levels or turning off lights when traffic decreases. This reticence is based on the erroneous assumption that more light will make us safer. As a society we are using more outdoor lighting each year to feel more safe, but the best research shows that “over lighting” does not improve safety. 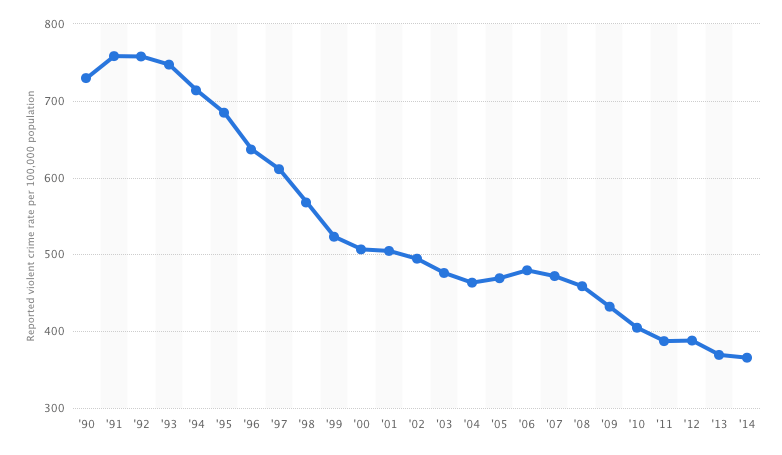 Additionally, statistics tell us that crime is at the lowest level in decades. The reality is that as a society, we choose to use outdoor lighting indiscriminately and make decisions on when to use it based on “gut” more than on facts or science. Maybe we could have justified this in the distant past, when energy was cheap and the negative consequences of global climate change were mostly unknown. But today we know that the more energy we waste, the less money we have to pay teachers and police, as well as to rebuild our roads, bridges and schools. Waste is a luxury we can not afford. Now is the time to start using our resources more intelligently and Smart Lighting is an easy way to save billions of dollars, reduce CO2 and its negative effects on the environment. Interesting initiative, want to be kept informed about it. Do you consider “blue-less” lighting also? The “blue” part of White light has the most “effective” Impact against bíodiversity, human health and visibility of stars. SOLA promotes the use of the most ecologically responsible light source possible. We also recommend adaptive controls and dynamic spectral tuning to vary the level and color temperature throughout the night. With the sharp rise in LED efficacy the “penalty” for using warm CCT is evaporating. With it will go the incentive to use glaring, blue-rich white light.